Meath-based agritech firm Hexafly is looking to raise €10m this year. The company uses insects to turn waste into material that can be used in animal feed ingredients, fertilisers and a range of other industries. Flies consume the waste, and as they grow they shed their skins, from which the valuable material is produced. Hexafly, based in Ashbourne, has just closed a €1.1m funding round and is now seeking €10m to help build a larger production facility to fuel expansion. “Our goal is to educate people about the benefits of insect-derived protein, how sustainable it is and essentially find smart ways to feed the growing global population,” Hexafly chief executive Alvan Hunt said. Hexafly was first established in 2016 by Alvan Hunt and John Lynam in response to the growing issue of the global food shortage. 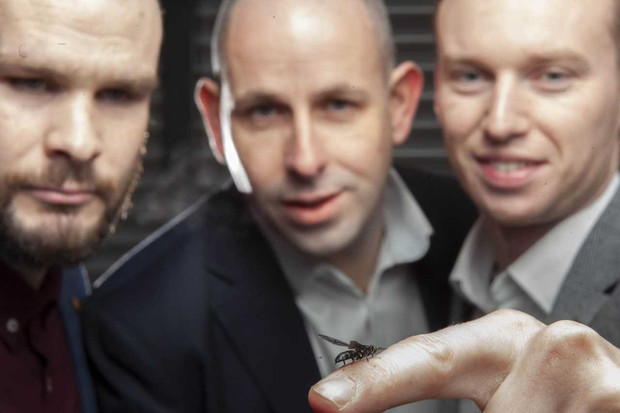 The co-founders developed technology to breed flies on an industrial scale, converting low value waste streams – using black soldier flies – into a food source for the animal feed industry, and that can also be used for human consumption. The agritech company has raised €2.2m to date, which includes €900,000 in angel funding. That’s the largest investment in the agritech sector that has come out of the Halo Business Angel Network (HBAN) – an umbrella group looking to increase the number of angel investors in Ireland. Other Hexafly backers include Enterprise Ireland and SOS Ventures. The company exports more than 90pc of its insect-based products and is seeing growing demand in the US and the Far East. “It’s fantastic to be able to provide our alternative feed sources to sectors that need them, but we also want to have a long-term presence and become part of the food chain solution on a global level,” Mr Hunt said.